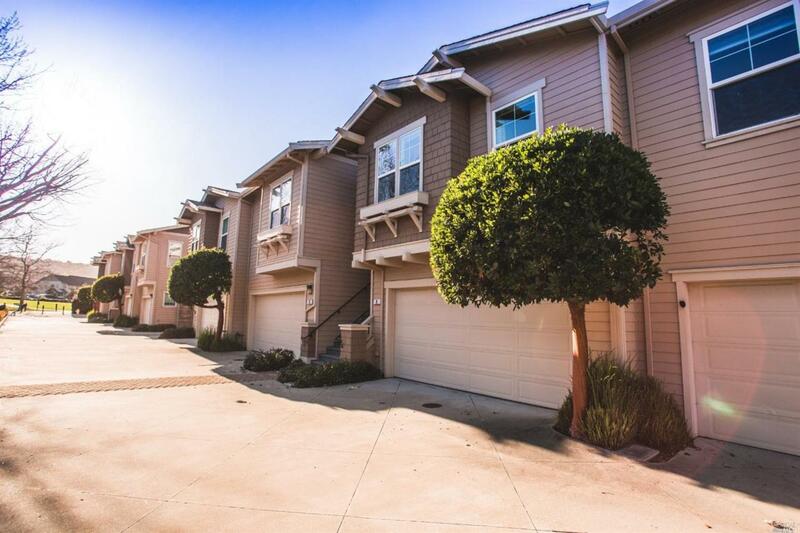 A Fabulous 2005 Townhouse in San Rafael. Features 2 spacious bedrooms and 2 full baths. Enjoy the open concept floor plan, cathedral ceilings, including an updated kitchen with granite countertops and stainless steel appliances. The house also features a Washer/ Dryer, A/C and a 2 car garage. You will love the relaxing views of surrounding hills and a playground for pets & the whole family. Close to transportation making it perfect for commuting. Kitchen 220 V Wiring Dishwasher Incl. Gas Range Incl. Microwave Incl. Refrigerator Incl. Listing courtesy of Isaac Munene of Coldwell Banker Residential Brokerage.